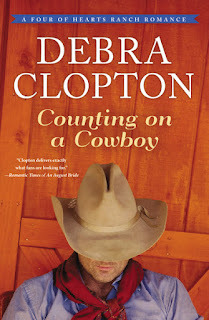 I have a great book to share with you from A Four Hearts Ranch Romance Series! 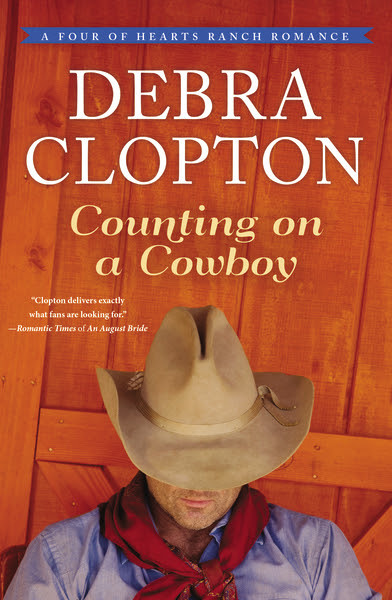 Counting on a Cowboy! In this book we dive into another brother - Bo's life. I just love series and seeing some of my favorite characters pop up in the stories. For example it was nice to see more of Pop's life in this book. This book introduces us to Abby a very broken girl looking for a new life and a restart. I'd say that is exactly what she gets pretty much immediately entering town! Life becomes a roller coaster for Abby and she has a lot of past hurt to sort through as she is thrust into a whole new world. Will she allow herself to love again? Can she accept the wonderful man - Bo- that God has put in her life. Loved this book, love Clopton's writing and loved all the characters! A big win just like Betting on Hope was. In fact I'm really looking forward to the next book! You can totally read this book indepenedantly but I'm sure you will want to read the first book too! So it is up to you if chronological order bothers you. This book will give you just enough back story so that you won't be lost and can just jump right in!